Terry Cotton Uniform Shirts in Chennai ! 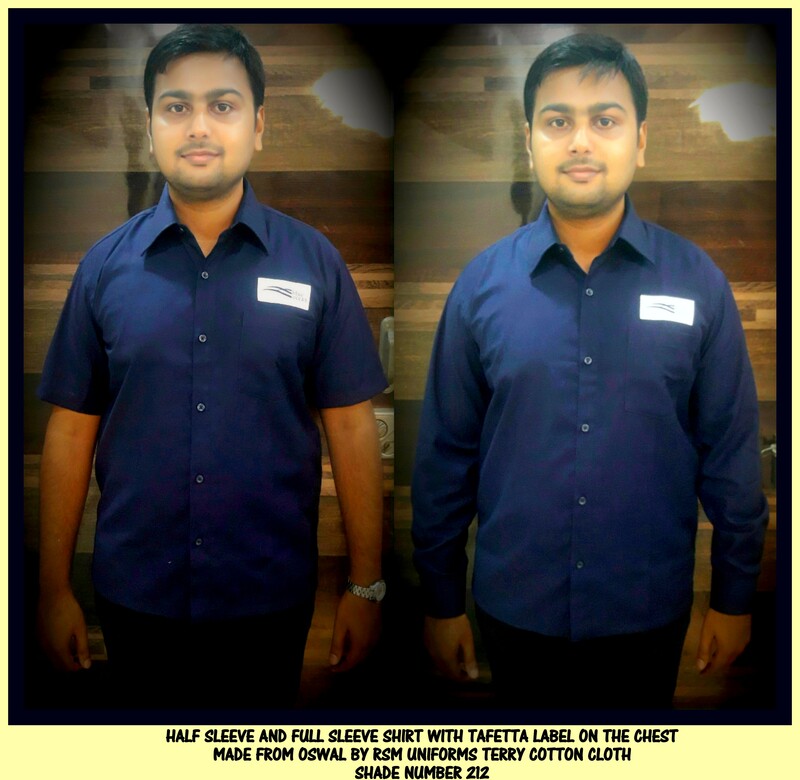 RSM Uniforms manufactures terry cotton cloth in the brand name of Oswal by RSM Uniforms and Gurukul by RSM Uniforms. We maintain almost 25 colors in Oswal quality and this can be used to make Housekeeping shirts, Factory Uniforms, Shirt and Trousers made of same material and color and Industrial uniforms coverall. Oswal by RSM Uniforms is 2/30s x 15 singles count quality made in weight of 270 to 275 grams and the width of the fabric is 56 inches. Gurukul by RSM Uniforms is 2/30s x 2/30s count quality made in weight of 300 grams approx and the width of the fabric is 58 inches. This fabric is absolutely perfect for Schools, Colleges, Hotels and Hospitals in Chennai and can be customized according to your requirement making it a waist coat, a lab coat, an overcoat, a normal half or full sleeve shirt with collar or may be chinese collar, a trouser, a coverall. We have a plethora of options to put this cloth into the best use based on your uniform requirement. We are just a call away. Call us now at 9176634635. We would be happy to help you. Corporate Uniforms in Chennai !! Uniforms for your employees not only builds the reputation of your company but also is a major factor for the world to know on how serious are you when it comes to your business. 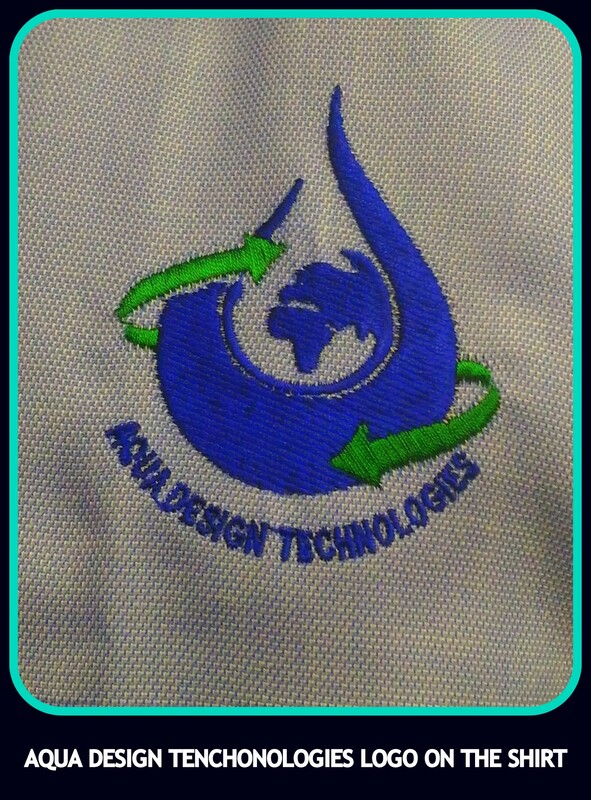 Here we display a half sleeve shirt made for our customer Aqua design Technologies. The requirement was a half sleeve shirt mostly for technical staffs. The logo was sent to us on whatsapp and upon approval was been embroidered on the chest above the pocket area. The sizes for Corporate Uniform shirt can be 36, 38, 40 and 42 based on your requirement. For any uniform requirement in chennai feel free to get in touch with us at 9176634635 . We would be happy to help you. T shirt and Overcoat in Chennai !! Wearing a 100 % Cotton T shirt as uniform can be the best thing one can wear to feel comfortable in this sultry heat of Chennai !! 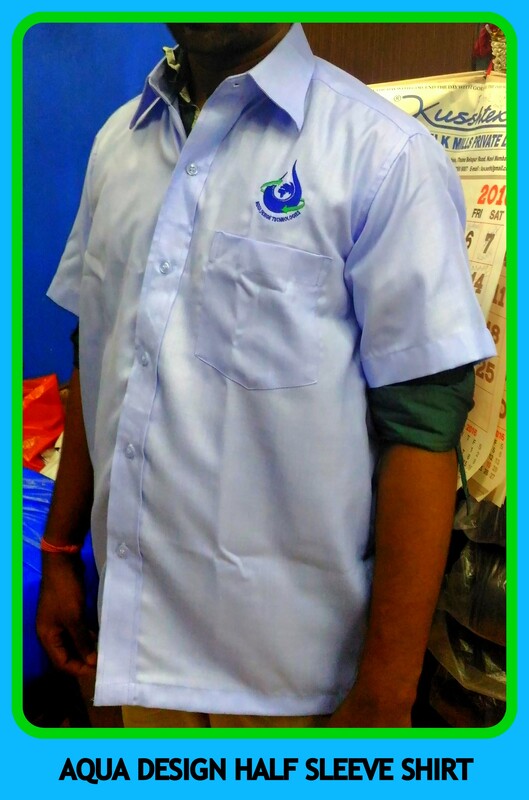 We at RSM Uniforms can make plain T shirts for you in different colors with your company logo embroidered. The T shirt material will be 100 % Cotton and is available in different sizes. The time period for a minimum quantity of 100 pcs with your company logo embroidered is a week to 10 working days. We also make overcoats in different colors based on your requirement in varied sizes. Here we display a T shirt made for a mnc company in Chennai that required a maroon color T shirt with company logo embroidered. We also display a housekeeping overcoat in Chennai that is unisex and can be worn by lower category staffs in your company. For your requirements of Overcoats in Chennai or for your requirement of plain 100 % Cotton T shirts in Chennai or for any requirement of uniforms for your school or company in Chennai please get in touch with us at our website http://www.chennaiuniforms.com or call us now at 044-25386319. Our working hours are morning 10.30 to 7.30 pm. We are happy to help you with your requirement of uniforms in Chennai. Four new colors of overcoat in stock now !! We have added four colors of overcoat now in stock. The size available at present is 40 that would generally suit most of the category of people. The new colors added to the stock are Maroon, Pink, Bottle green and Pakistan green. Please visit our store in Chennai located at No.74, Godown street, Chennai for your requirement of uniforms. 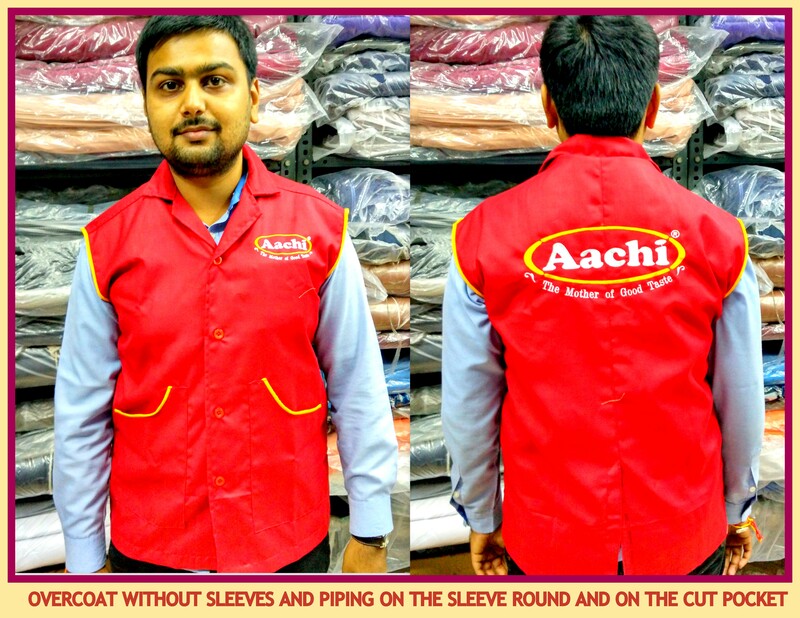 Customized uniforms in Chennai !! Sri Opilli Caterers approached us for Uniforms for their kitchen staff. Keeping in mind the wear and tear while working in kitchen and the surrounding places we suggested them a grey uniform that would always look bright and never look dirty and to provide a attractive look we added some piping of orange to it. The embroidery was done in orange color matching to the piping of orange done on the uniform. The trouser was made with elastic at the back. We maintain approximately 50 colors for maintenance, housekeeping and uniforms. Please get in touch with us with for your requirement of uniforms. MOQ – 25 pcs. We are happy to help you. Overcoats for Company uniforms in Chennai !! The overcoat this time is custom made as the customer required something in green. The overcoat size that we made was 38, 40 and 42 that would suit all category of people. The coat style is unisex and is made of terry cotton material. For your requirement of overcoats in Chennai, please call us now at 9176634635 . We would be happy to help you. You can also fill up the form on our website http://www.chennaiuniform.com or http://www.chennaiuniforms.com.